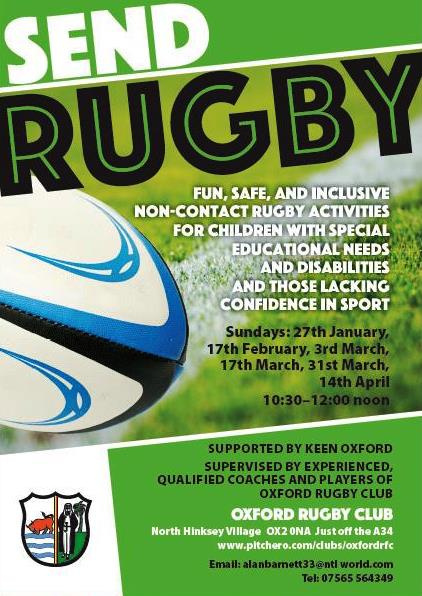 Oxford Rugby Football Club invite boys and girls to join their six SEND Rugby sessions. Fun, safe and inclusive rugby activities for children with special educational needs and disabilities and those lacking confidence in sport. Supervised by experienced teachers, qualified coaches and players from Oxford RFC. QKF Training Day - Sunday 16th June at Oxford Harlequins RFC. GMS Update - Enhancements and Updates to two modules. Wadworth 6X - Official sponsor of 20 leagues including South West 1 East, Southern Counties North & South and the county leagues in Berks, Bucks & Oxon, Dorset & Wilts and Gloucestershire.